Yvette Norwood-Tiger Presents A'LA ELLA! A concert celebration of the life and works of First Lady of Song Ella Fitzgerald to celebrate Ella’s 100th birthday. Yvette Norwood-Tiger, vocalist, songwriter, vocal coach, recording artist and Recording Academy (GRAMMY) voting member, is a Detroit, Michigan native who hails from a family of musicians, including a father who played guitar and a mother who played drums. Her CDs, A'LA ELLA! and whY NoT... Love, Peace, Joy, Jazz, features music from great composers such as Cole Porter, Duke Ellington, and the Gershwins. Yvette performs with vocally clean and pure interpretations of the great American Songbook, while emphasizing intonation and storytelling. Her vocal styling and texture is often compared to that of Ella Fitzgerald, Billie Holiday, and Sarah Vaughan. In addition to traditional jazz, her repertoire includes traditional gospel, Latin jazz, classic songs from popular music, and arias of the great composers such as Puccini. She also performs songs in other languages which include French, Italian, Portuguese and Spanish. Her mission in music is to uplift, inspire, and heal the heart, mind and spirit of the listener. She performs worldwide and has sat in several times with jazz orchestra - the Cotton Club All Stars, at the famous Cotton Club in Harlem, NY. She has also sat in with Latin music artist, Tito Puente, Jr., the late saxophonist David Fathead Newman, family members of Celine Dion, and band members of Spyro Gyra -Jay Beckenstein and Tom Schuman. Yvette now resides in south Florida where she performs extensively, including performances at the Raymond F. Kravis Center in West Palm Beach. 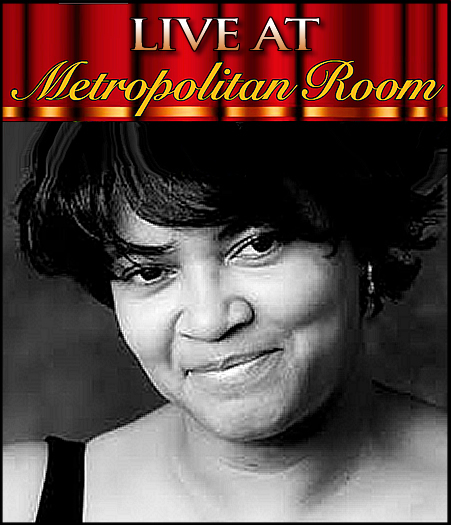 She travels frequently and does regular visits to the New York/New Jersey area where she performs to sold out rooms. Her recently released CD, A’LA ELLA! is a celebration of the life and works of the “First Lady of Song”- Ella Fitzgerald. April 25, 2017 would have been Ella’s 100 th birthday. Yvette is touring North America and Europe to celebrate Ella’s wonderful contribution to jazz music. Close your eyes while listening to Yvette sing live or on her recordings and let the sultry sounds of Yvette Norwood-Tiger take you to a place where jazz was the most celebrated American music genre.